As I noted back when I spent some time with the game at E3 this year, I’m a big fan of Earth Defense Force as a series, especially Earth Defense Force 2017. That was the game that really introduced me to the Simple Series, D3 Publisher’s Japanese budget series of games featuring all sorts of ridiculous concepts to make up for their low budgets. If you can’t make a good game, the philosophy went, make one where a chick in a bikini murders zombies or a maid uses a machine gun to blow up helicopters. Chikyuu Boueigun, the series we know as Earth Defense Force, was one that was born from the Simple Series, and while our first experience with it here in the states was the 360 title, the franchise also includes two PS2 action games and a turn-based strategy game, and that’s not including the upcoming releases announced. Despite, or more accurately, because of its often low budget nature and cheesy presentation, EDF 2017 gained a decent cult following in the US, enough that D3 approached Vicious Cycle about making another game in the series. Vicious Cycle, apparently being staffed with fans of the franchise, jumped all over the chance to do so. 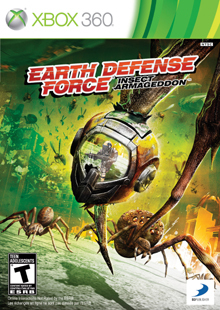 This brings us to Earth Defense Force: Insect Armageddon, a spin-off/sequel to Sandlot’s EDF 2017 that’s been heavily anticipated by fans of the prior game since its announcement. The game, by all indications, seemed to have a handle on both what made the original game great while also realizing what could be done to make it better, and in a lot of respects, this is true. 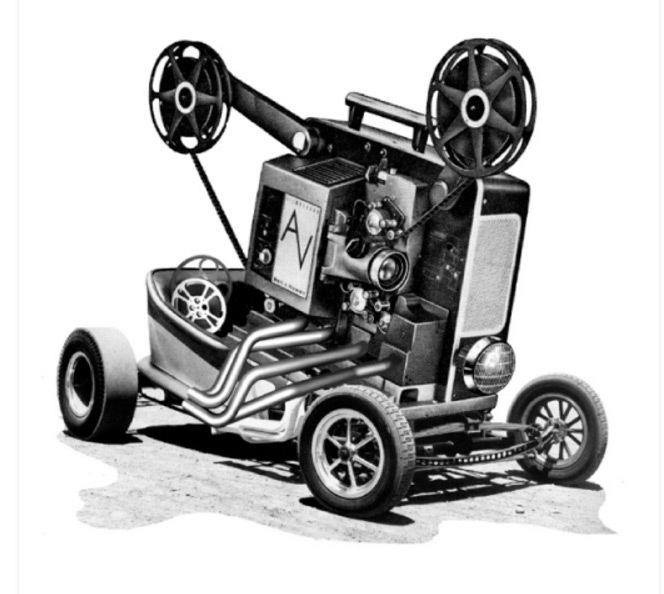 The end result, though, comes across sort of like an American director trying to remake a Japanese film for American audiences, in that the core concept remains the same, but changes were made to concede to the audience. The end result is still as good as the original, but for noticeably different reasons. EDF: Insect Armageddon once again tells the story of the Earth being invaded by aliens from an unidentified planet who summon gigantic robotic nightmares and huge insects to make our lives miserable. You take control of the generally nameless protagonist, a member of Team Lightning, who goes out into battle along with his team to ruin the lives of every bug, robot, and spaceship he sees. 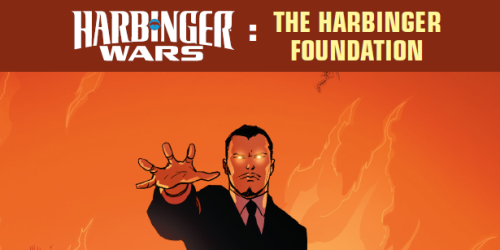 For the most part, that’s as complex as the storyline gets. There’s no real depth to things here. You’re the soldier who gets the job done, and everyone else is basically there to just fill in the random chatter. The writing is essentially meant to be one part B-Movie bad and one part genre savvy, so you’ll get plenty of obvious and corny dialogue alongside some humorous moments where EDF Intel basically has not a damn thing to offer you, complete with your operator making her exasperated observations of little help that actually is. As such, the writing is less EDF 2017 “bad by accident”Â and more Snakes on a Plane “bad on purpose.” This isn’t specifically a good or bad thing, mind you. While the dialogue loses some of the magic of the original game by knowing what it’s supposed to be going in and making the best of it instead of being accidentally absurd, it’s still entertaining and brings the game to life just fine, and there are definitely some chuckle-inducing moments within. It’s not good on purpose or anything, but it’s fine for what it is and it does the job well. Visually, EDF: Insect Armageddon is a noticeable improvement over its predecessor, and while it still has some of the visual flaws of the prior game, it’s nice to look at. The simplest comparison one can make is to make the comparison between a Japanese Godzilla film and the US attempt. Everything is a lot cleaner and prettier, and the animations of the characters and enemies are less stilted and more fluid. Granted, this in turn loses a little of the charm of the low budget nature of the original game, but this is made up for by way of the game actually looking pretty good in motion, especially when you see a giant spider up close for the first time and realize that these spiders are actually, well, gross. Again, the visual aesthetic of the game plainly continues the feel of this being an American take of a Japanese product, and it works. That said, there is some obvious slowdown when there are lots of enemies on-screen, and the explosions are less impressive for technical reasons, but these aren’t game-breaking issues or anything. Aurally, the game is a bit more spotty. The music is your typical swelling orchestra meant to convey the pseudo-serious nature of the experience, and it works perfectly fine. The sound effects are good, between the powerful sounding weapons and the freaky noises the giant enemy insects make, and have some worthwhile personality to them. The voice acting varies between being fairly good and fairly bad, but the bad voice acting isn’t bad in a, “so bad it’s good”Â way as much as in a, “so bad it’s annoying”Â fashion. EDF Intel is perfectly fine, as is your character, and most of the grunts and pilots and such are fine, but your operator is so bland and robotic that she almost takes away from the experience. She’s just not pleasant to listen to, either on a good or bad level. She literally seems incapable of emoting, and the voice work just grates, though as you progress you kind of get used to it. 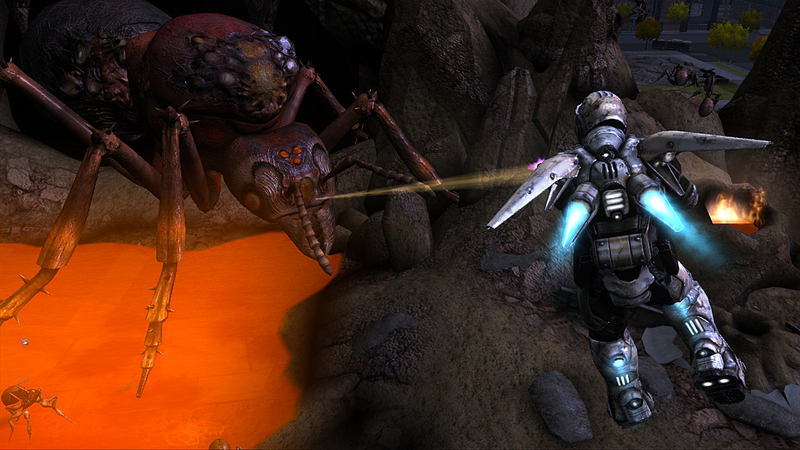 EDF: Insect Armageddon is your standard third person shooter in thought and deed: enemies are coming at you, you have to kill them, end of story. The left stick moves and the right stick looks around, the right trigger fires your armed weapon, the left trigger uses your special ability (if applicable), A jumps, B changes weapons, X reloads, and Y occasionally interacts with the environment when needed. Holding the left bumper allows you to break into a full sprint when needed, while the right bumper allows you to perform dodges and dodge rolls with whatever character class you use, while pressing in the right stick zooms when applicable and pressing in the left stick flips to view targets of interest when prompted. Some of the buttons and functions will be new to fans of the original game, as there weren’t special actions in the prior game to speak of and you couldn’t manually reload, but for the most part, the game will be easy to pick up and play for fans and newcomers alike. Like the last game, you’re allowed only two weapons in battle at one time, which you switch between with B, and like the last game, there are all sorts of weapons to pick from, like assault rifles, sniper rifles, grenade launchers, rocket launchers, missile launchers, and more. You’ll unlock lots of weapons to play around with as you play, with a total of three hundred being available in the game, so you’ve got a lot of toys to play with as you obliterate the insect horde. 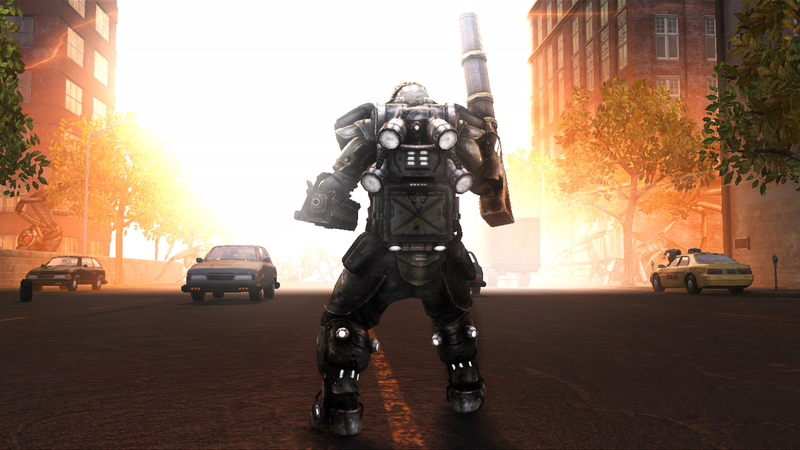 Where EDF: Insect Armageddon differentiates itself is in the fact that it adds depth to the experience beyond the simple, “shoot and kill everything you see”Â concepts of the prior game. In EDF 2017, you only played as a generic EDF trooper, and enemies dropped armor pieces and guns at random, and acquiring the former built up your defense while the latter built up your armory. This time around, you’re given four classes to work with: Trooper, which is your normal EDF grunt with no frills but gets bonuses in his armory and overall performance, Battle, which is your heavy assault soldier with an energy shield and nasty damaging weaponry, Tactical, which is your technical class that can deploy mines and turrets to add support, and Jet, which uses energy weapons and can fly. Rather than picking up powerups that add to your total armor, each class gains experience points based on your performance in a level with that class. Once enough experience is earned, the class levels up. Aside from improving the performance of the class, boosting skills and improving armor levels, this also unlocks new weapons at the level unlocked for you to use. Most of your standard weapons have to be purchased with credits which are also earned through level performance, though there are still experimental weapons dropped from dead enemies that you can claim and use when your level is high enough, such as rockets that split into tiny missiles, shotguns that fire flaming rounds, and extremely high damage, low speed missiles, among many others. You can only earn so many levels within a given difficulty, however, so you’ll max out at level five on Normal difficulty. This means that if you want to max out your character, you’ll have to step up to the next difficulty levels to get the best gear and armor and such. Beyond these more obvious changes to the experience, there are also smaller additions, such as two AI teammates who aren’t a complete waste of space, turrets and vehicles that are largely functional, health kits that can heal your whole team up to their full health level and boost your armor beyond that (though the latter only works for the player who collects the health pack), the ability to actually reload your weaponry on command and the ability to revive fallen teammates or be revived yourself. The reload system actually works similar to that of Gears of War, in that you can press a button at the right time during the reload to cut the time down significantly, though there’s no risk/reward system where you could deal more damage or have your gun jam. You simply either reload faster or you don’t, so the only punishment is waiting for the gun to reload. The option of being revived or reviving teammates also means that death doesn’t mean starting over, as you can be helped back up, at full health, ready to carry on the good fight. 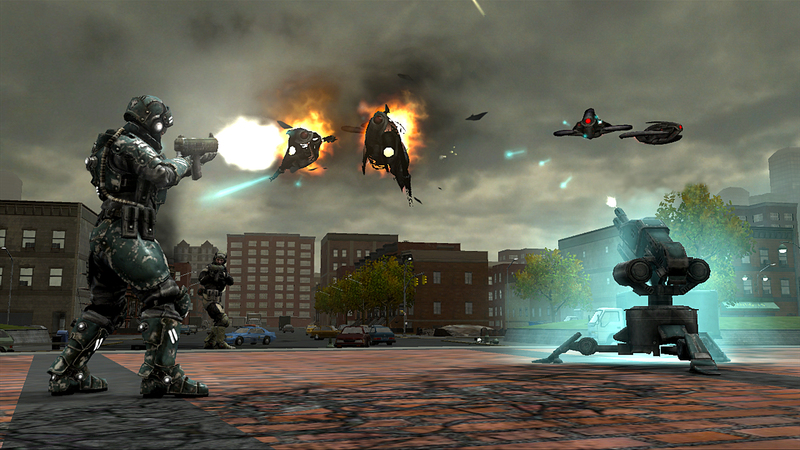 The game is composed of three chapters of five levels each, totaling fifteen levels, which is a sharp step down from the fifty plus levels in EDF 2017, though to compensate, the levels are longer for the most part. Aside from the multiple difficulty levels, there’s also a Survival Mode to jump into and a remixed campaign to play with remapped enemy spawns and locations for those looking for a new experience from the normal campaign. 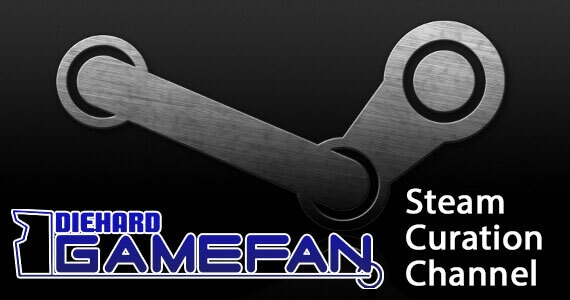 You can also take the game online, with up to three players in the campaign and up to six players in Survival mode, or you can play split-screen with a local friend in the same modes, so you have plenty of options for playing along with friends if you wish. 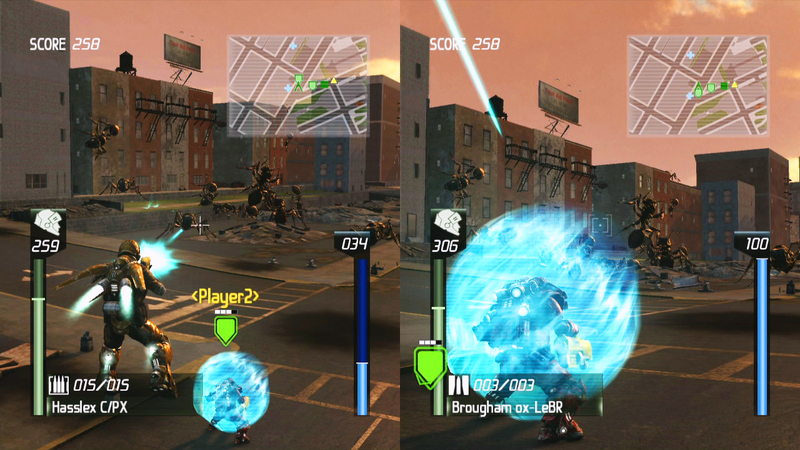 There are also a good amount of entirely feasible Achievements to unlock, weapons to collect, and levels to earn across the four different character classes, so you’ll have plenty to do if you want to max out all of the available classes and see everything they have available, leaving EDF: Insect Armageddon as a surprisingly robust little game for its budget price. That said, however, the game backs itself into a bit of a corner by adding in all of the things it adds in and changing all of the things it changes. It effectively improves the experience to a level where the cheesy silliness of the prior game is replaced with a somewhat slickly presented product, and as a result, the flaws are a bit more obvious. For example, the game is, to be polite, poorly balanced. When you plow through the campaign on Normal, everything feels like one would expect, and you’ll have plenty of experience points earned up to let you take on Hard. But once you get into Hard, you start to notice that, for instance, turrets and tanks feel a lot less useful against the oncoming hordes than your own weapons do, making them less useful of an option in battle against enemies when you have such awesome equipment. Further, Survival Mode is essentially unplayable with one player, because it’s meant as a multiplayer excursion. This is nice, but if you don’t want to play with strangers and don’t know anyone who owns the game, the most you can play with is a local friend, which honestly doesn’t help a whole lot, so, hey, that’s an entire mode that’s completely beyond you. Also, what, exactly, is the point of Survival Mode? Yes, fine, six people can play the mode at one time, but everyone is stuck as a Trooper with terrible weapons and there’s no benefit to the main campaign at all in doing this thing. It’s not an especially robust or well planned mode, unfortunately, and doesn’t make a strong argument to the player who hasn’t completed the game entirely to be played when there are levels to earn. Beyond that, there are minor issues that the game has that simply don’t compare up as well to the original game. For one thing, collecting armor shards upgraded your total overall armor, which essentially allowed you to build a disgusting character through grinding if that was the sort of thing that interested you. Well, EDF: Insect Armageddon also requires grinding to max out the job classes, due to the large amount of experience you’ll need to earn to do this, but the grinding here is less about building this disgustingly overpowered EDF soldier and more about… reaching the max level, which isn’t quite as entertaining. While it’s nice that there aren’t lots of very short stages with long loading times in between, as well, the game simply isn’t as lengthy as the original, overall, and it doesn’t have the variety of giant monsters of the original. In the prior game you fought giant Godzilla like monsters and finished the game off by fighting a humongous disco ball alien mothership to finish out the game. Here, you… fight a bunch of monsters you’ve fought already to finish off the game, and the only really giant monsters you see, save for the Bomb Spider and Praying Mantis, were represented in some form or another in the prior game. This was noted previously, but it bears noting again: EDF: Insect Armageddon feels less like a whole new experience and more like an American development company taking a crack ad a Japanese franchise, for all of the good and ill that this implies. Also, for some odd reason, the 360 version doesn’t come with a manual, which is disappointing, to say the least. 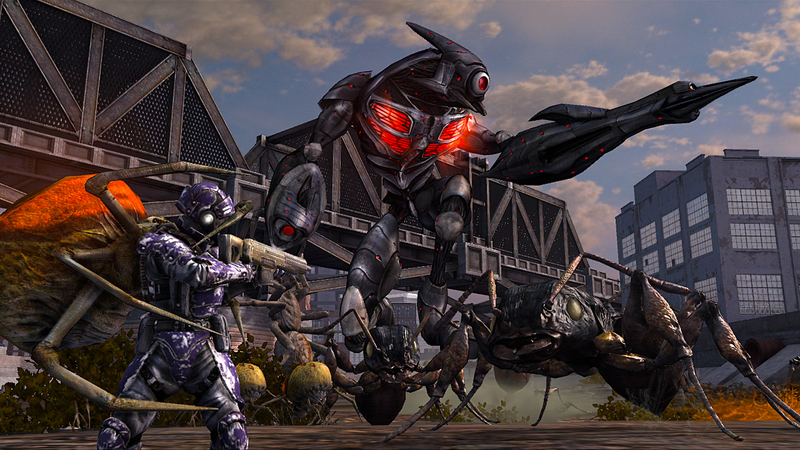 Earth Defense Force: Insect Armageddon is still a pretty great game, though, let’s not imply otherwise. While the game doesn’t quite capture the magic of the original, and while it’s not without flaw, the game is a blast to play alone or with friends, simply because obliterating bugs and robots to this level is exciting as all get out, make no mistake about that. The story, while inoffensive, carries on the tradition of being silly (if on purpose if not by accident), and the game looks and sounds good, with minor hiccups. The game plays perfectly fine, and offers plenty of additions and modifications that add depth and substance to the experience, both alone and with friends, and the bug-slaughtering basis is still great times. However, the game isn’t as balanced as it needs to be, the Survival mode seems wholly pointless and poorly implemented, the game isn’t as lengthy and in-depth as its predecessor, still has some grinding requirements but for less motivation and lacks some variety here and there, as well as a manual. The final product is still worth its budget asking price, all in all, and while it’s not quite the game fans of the series were hoping for, EDF: Insect Armageddon is a perfectly fine way to tide yourself over until Sandlot gets their next entry done and out into the market. Earth Defense Force: Insect Armageddon carries on the tradition established by Earth Defense Force: 2017 well enough to be a worthwhile purchase for fans and newcomers alike, and while it’s not a fully faithful effort, it’s still a fun and well designed product. The story is serviceable and suitably cheesy (if on purpose this time) and the game generally looks and sounds good, though there are minor issues in both areas. The game is as fun to play as its predecessor, and thanks to the multiple classes, new level up systems, minor gameplay additions, and on and offline multiplayer, the game offers plenty of substance and depth for any player to enjoy. 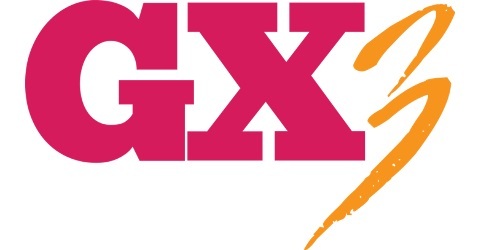 Unfortunately, though, the game has some balance issues in the higher difficulties, Survival mode is underdeveloped and poorly implemented, the game lacks the length and depth of its predecessor and loses some of its magic in the process, the focus on grinding is accompanied by less interesting reasons, and for some reason, there’s no manual included. These issues don’t ultimately ruin the budget priced fun of EDF: Insect Armageddon so much as they damage it a little, and the game manages to justify its existence despite the flaws; while fans won’t find it to be a completely perfect substitute, they’ll find it a solid one until Sandlot releases the next entry in the series, if nothing else.